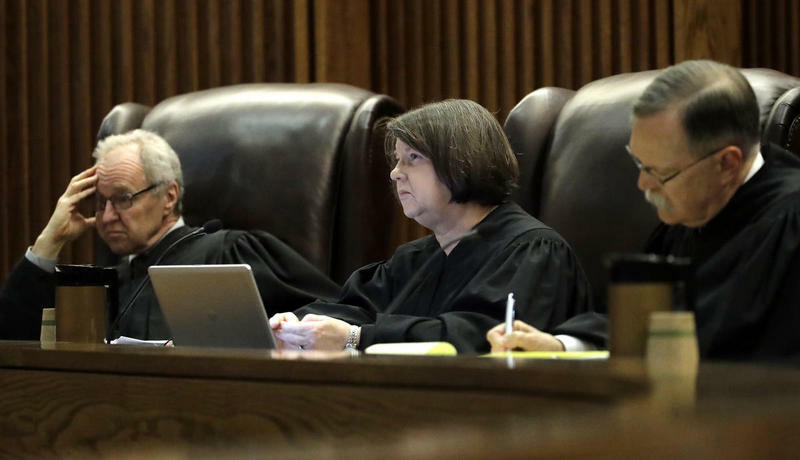 The Kansas Supreme Court ruled Thursday that Kansas' school funding formula is inadequate. The long-running case was brought by four school districts in 2010. They argued the state had inequitably and inadequately funded public education, in violation of the Kansas Constitution. After a 16-day trial that produced a 21,000-page record, a three-judge panel upheld the districts’ challenge. The Supreme Court later sent the case back to the panel after finding that it did not apply the correct standard in concluding the state violated the Constitution. The panel, after applying that standard — set out in a Kentucky Supreme Court case that was codified by the Kansas Legislature — reached the same conclusion it had before. In its decision today, the Kansas Supreme Court upheld the panel’s finding that the state’s block grant formula is constitutionally inadequate. And it further noted that about 33,000 Hispanic students, or more than a third of that student population in Kansas, are not proficient in reading and math. “Plaintiffs have also proven by substantial competent evidence that the student performance reflected in this data is related to funding levels,” the court wrote. In a statement Thursday afternoon, Gov. Sam Brownback said the state’s old school funding formula that pre-dated block grants had “failed” the students of Kansas. He said he would measure the success of a new formula not by the dollars spent but by student performance. “If they believe a quality education is not possible in their local public school, they should be given the opportunity and resources to set their child up for success through other educational choices,” the governor said. 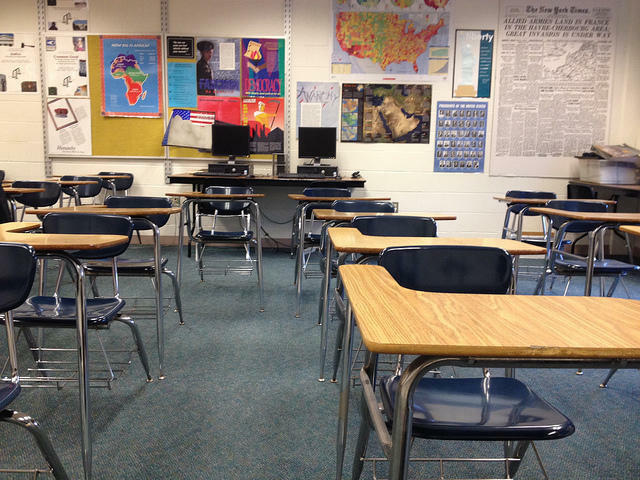 Alan Rupe, an attorney who represented the school districts, said in a statement that the court "has finally confirmed what anyone who has recently stepped inside a Kansas public school already knew: Kansas public education is significantly underfunded." Kansas is facing a big budget problem. There's a $280 million budget gap to fill before July 1 and a deficit of hundreds of millions more next year. Still, Rupe says the ruling strong suggests lawmakers will have to find a lot more money. By some estimates, up to $900 million more. “The demands, the cost of educating kids has certainly changed with the demographics and with the kids coming to school not prepared to learn,” says Rupe. Overland Park Republican Stephanie Clayton also tweeted after the decision came down. David Smith, chief of staff for the Kansas City Kansas Public Schools, said in a phone interview that the state needs to create "sensible tax policy to undo tax changes that have, essentially, bankrupted the state." “Certain kids cost more to education to adequate levels than other kids and funding ought to be tied to the needs of the students,” he said. The Supreme Court did not say what would constituted adequate funding. It said the Legislature could choose to enact minimal standards or exceed them. "Whether the legislature chooses to exceed these minimal standards is up to that deliberative body and ultimately the people of Kansas who elect those legislators," it wrote . Sam Zeff covers education for KCUR and the Kansas News Service. He's also co-host of the political podcast Statehouse Blend. Follow him on Twitter @samzeff.